Southampton vs Manchester United Streaming links if you’re interested in watching the match live online. 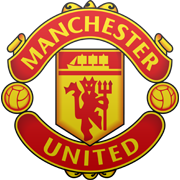 Europa League – United need to beat Southampton and hope Aston Villa win at Tottenham. Prepare to say farewell – Nemanja Vidic will certainly make his final appearance for the club, as will Ryan Giggs as interim-manager. Robin van Persie has scored 4 goals in 3 appearances for United against Southampton. Southampton have kept 15 clean sheets this season – the second best record in the division. A win would see United finish the season with the league’s best away record. Southampton will already finish the season with the club’s highest-ever tally of Premier League points (55). United have won the last six league meetings between the two sides. Substitutes: Amos, Carrick, Cleverley, Lawrence, Young, Valencia, Hernandez. The winger dilemma at Manchester United – Who stays and who goes? Time to re-think Manchester United’s strike force?